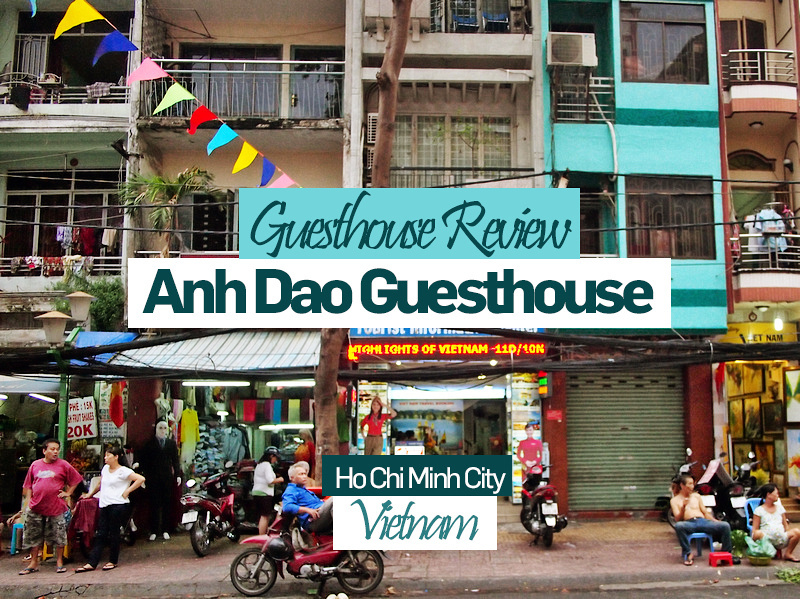 I stayed at the Anh Dao Guesthouse in Ho Chi Minh City, Vietnam. I booked online at the rate of $13.37 USD per night. 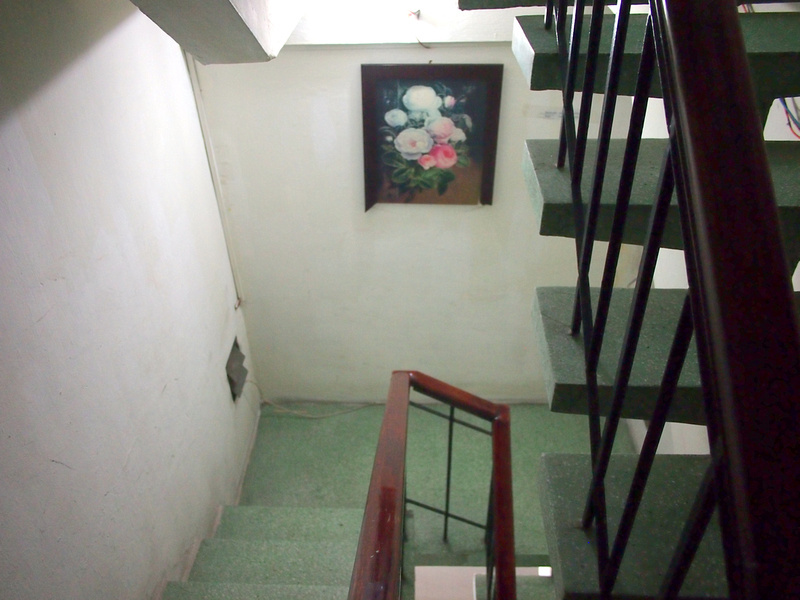 I booked it for its price and location, which is in the backpacker area of Saigon. Pham Ngu Lao is where all the backpacker guesthouses and hostels are located, and De Tham Street is the Ground Zero of the backpacker area, connecting the streets of Pham Ngu Lau and Bui Vien. The cheapo guesthouses here are very basic, but if you have been backpacking around Southeast Asia on a budget then you should know what to expect. I stayed here for a night while looking for a monthly apartment rental so I wasn’t looking for a fancy place to stay. The Anh Dao Guesthouse is located in a travel agency so the reception is also the travel agent. I got a single room with a private bathroom. The room was small with just enough room to put my bag at the end of the bed. There was no where to hang things though, so I was piling my clothes on top of my bag. The bed was comfortable and the room had air conditioning. The bathroom was also small, with the shower and toilet being in the same space (a common arrangement in Asia). 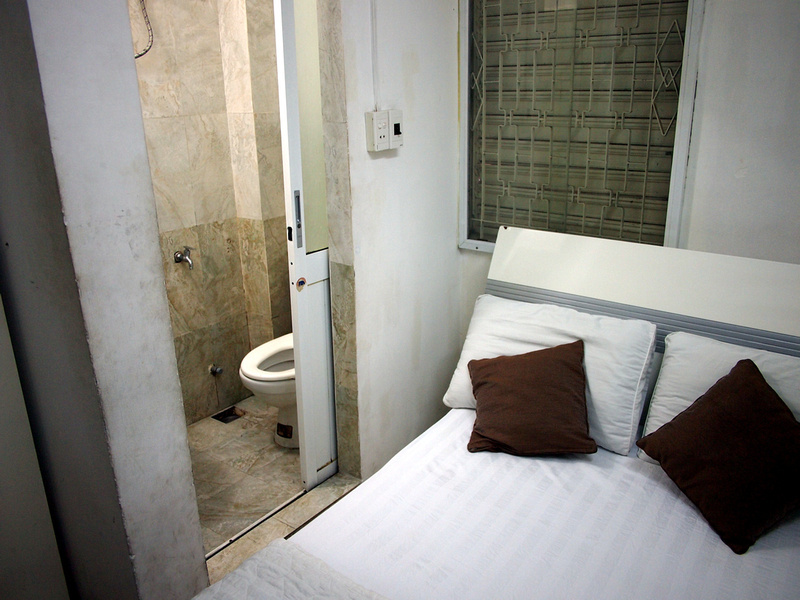 If you have travelled to places like Indonesia or India you might have become familiar with squat toilets in the cheap guesthouses. I’ve never seen a squat toilet at any guesthouse in Vietnam. Not only was the room small, the stairwell was as well. I am 6’1″ and I could not walk fully upright down these stairs without hitting my head. No lift of course but someone working there will happily assist you in carrying your bag to the room. The guesthouse has free wifi and the signal was good in my room. There is no breakfast service here. Overall this is ideal for backpackers on a budget who just want a private room for cheap. For a few dollars more though you can find nicer places. 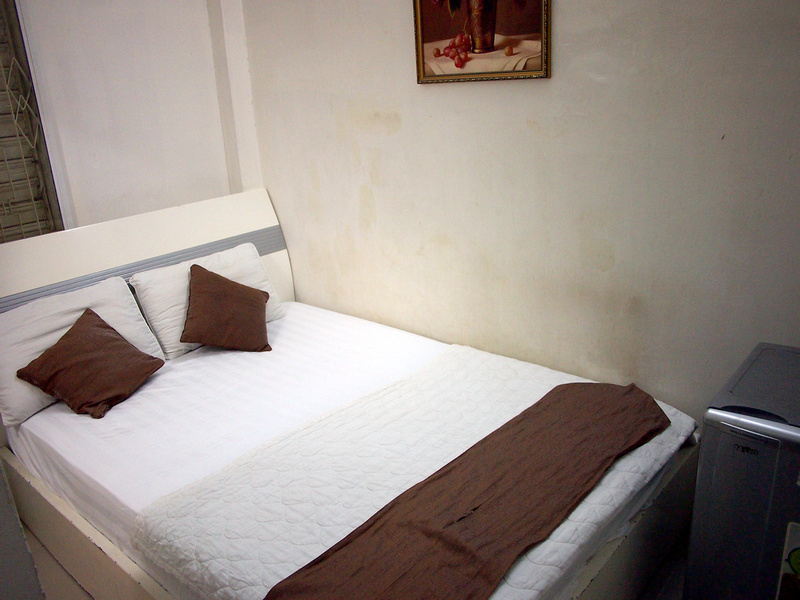 Book the Anh Dao Guesthouse online or search for more hotels in Saigon. 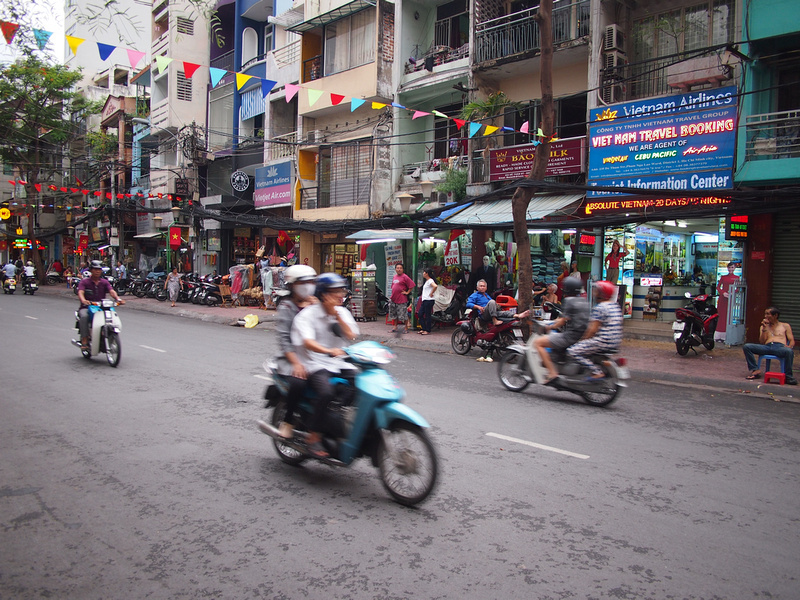 If you are visiting Saigon for the first time here is my guide for where to stay in Ho Chi Minh City.